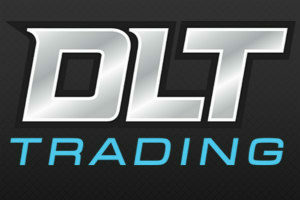 Before you invest in an expensive knife from a company on the internet, check these things out. 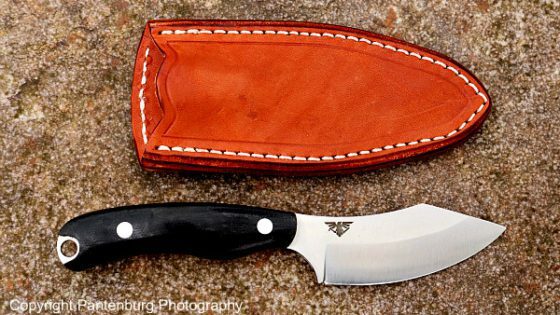 I’m very pleased with my Bark River Aurora, a high end bushcraft knife. 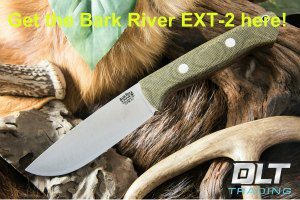 I bought a Bark River Fox River model, and handled one for the first time upon opening the UPS box. Initially, I was wowed by the workmanship, steel quality and blade design. 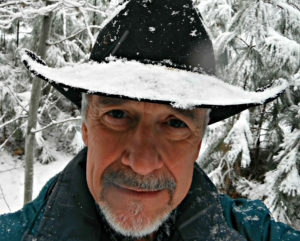 I carried the Fox River for a few months, intending to field dress a deer in the fall. But I didn’t kill one, and never got a chance to use the knife for hunting. However, I whittled sticks, cut meat, did kitchen chores, and was 97 percent pleased with my purchase. The dis-satisfaction was strictly personal. My wife could use the Fox River with complete comfort, but I have large hands, and the handle was a smidgen too short. And I didn’t like the extended tang. The warranty said “complete satisfaction” so I called the Bark River factory in Escanaba, Michigan. Desiree, a nice lady with a Midwestern accent, answered the phone. I explained the situation, said I wasn’t completely satisfied and wondered if I could exchange or get a discount on another knife. Desiree transferred me to another line. I let it ring about eight times then hung up. Within minutes, Desiree called back and transferred me directly to Mike Stuart, company president. I explained how I had used the knife hard, but didn’t like how the handle fit. 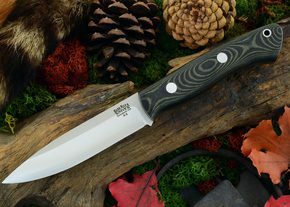 Mike asked about my knife needs, then offered to exchange straight across for an Aurora, Bark River’s most popular Bushcraft knife with a longer handle. Long story short, the Aurora arrived in the mail shortly after. I really like it. Start with a ruler, a knife you know and a reputable cutlery company. Then think about this. What do you want? What possible tasks might the knife be used be for? 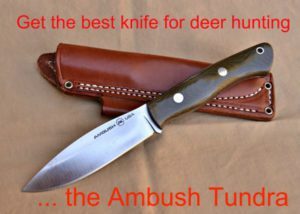 A thin, flexible-bladed fish filleting knife is very different than a sturdy drop point hunter for gutting deer. Have a general idea of what will be required of the knife. Check the handle and blade in the catalog, then compare those measurements with a knife you can physically handle. Go to a sporting goods store and and look at a knife with similar measurements to the one you’re considering. If a handle feels to0 short or long on one knife, it will probably feel the same on another. Likewise, this will be a chance to see if you like a particular blade length. Blade thickness: Again, check thickness measurements with a knife you know. My Cold Steel SRK is a superb survival knife, but its thick, sturdy blade makes it a not-so-good slicing knife. Forget about filleting fish with it. Conversely, I wouldn’t want to depend on my fillet knife for bushcrafting. Check the design: I can appreciate the historical significance of a Bowie knife, but can’t imagine any use I’d ever have for one. Unless you’re adventurous with your knives and money, stick with something you’re familiar with. 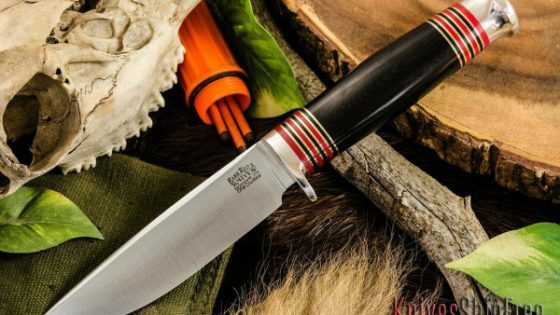 Learn about steel: A beautiful Damascus steel blade may not hold an edge and could be worthless for butchering big game animals. 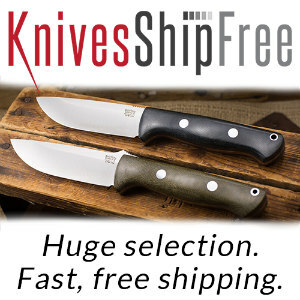 Check out the different kinds of knife steel, and understand which will be best for your blade. 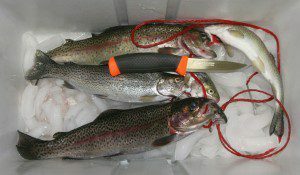 This Mora cleaned this limit of trout and was shaving sharp at the end of the job. The soft, non-slip handle was safe to use, even when covered with slime, scales and fish guts. Handle materials: Decide where you will be using the knife, and choose accordingly. If you’re doing slippery, slimy fish cleaning or big game butchering, a soft, non-slip smooshy handle is a good idea. Whatever material you get, make sure the handle fits your hand. Color: I have many different colored knife handles. I prefer the gaudy, hunter orange color on hunting and bushcraft knives. 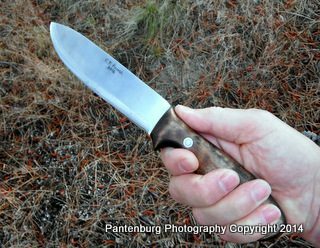 You don’t want to drop a black knife in the mud in the dark, a light handled knife in a snow drift or a camo-colored knife in the leaves. 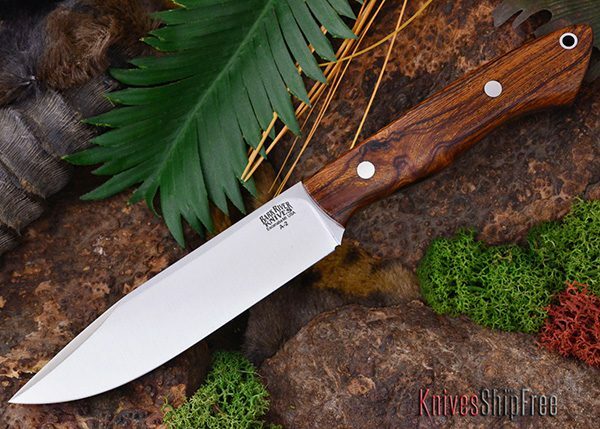 On the other hand, a rich dark walnut or curly maple handle looks just right with a traditional knife design. If visibility is a real concern, put some florescent duct tape on the handle. 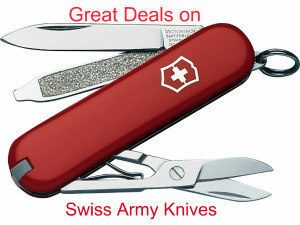 Sheath: If the knife is a rigid blade, it should have a sturdy well-designed sheath. Big folders are best carried in belt sheaths, so check that out, also. What is the best deal? You’ll see abnormally low prices on items sometimes, and in the fine print, you’ll see that the packaging, insurance, shipping, and handling cost are exorbitant. How much will you really end up spending? What is the real bottom line? What are the return policies? Again check the fine print. It could be the money-back guarantee is complicated and hard to take advantage of. What about a warranty? 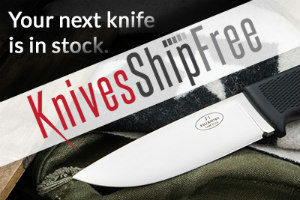 If you invest in a high-priced knife, you expect it to last. What is the company’s definition of “life time warranty”? See “fine print” above. The best way to buy a knife is to go to a store, handle it, talk with someone who knows about the product and make your decision based on previous research. But if that isn’t possible, your next best bet is to find a reputable company or craftsman and work with them. A little time invested upfront can save all sorts of hassle later on.